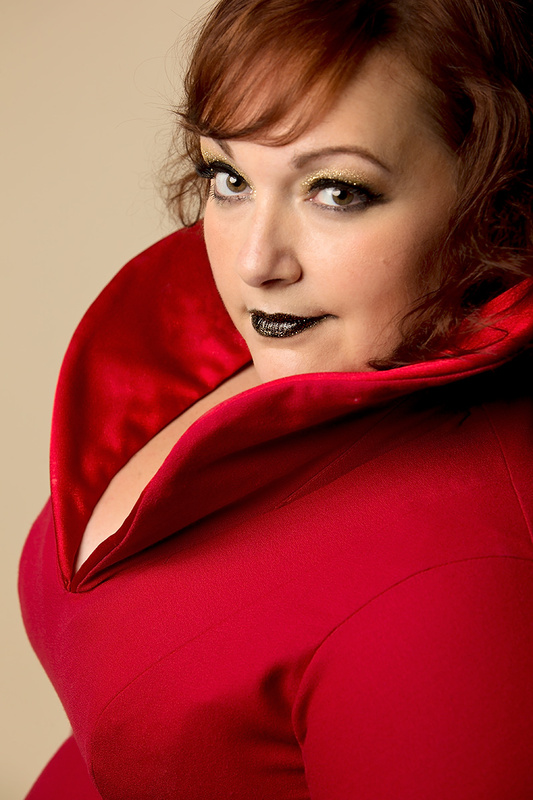 Recently described by critics as ‘The most exciting voice since Joan Sutherland’ with ‘8 stars out of 5’ for her performance of Elizabeth in Roberto Devereux, Australian born Helena Dix has secured her name on the operatic stages all around the world. Helena has had a great deal of success in competitions, most notably representing Australia in the 2005 BBC Cardiff Singer of the World. Helena was also runner up in the prestigious Herald Sun Aria and a finalist in the McDonalds Aria held at the Sydney Opera House. She made her USA debut as a finalist in the Seattle International Wagner Opera competition to great critical review. Helena’s operatic repertoire includes: The title role in Cristina Regina di Svezia for Wexford Festival Opera, Oldenburg Staatstheatre and Chelsea Opera group, Elettra in Idomeneoand Odabella in Attila for Nurember Staatsopera and Lubeck opera, Gioconda in La Gioconda for Vallodiad, Flowermaiden Parsifal for English National Opera, Elvira (cover) in Ernani for The Metropolitan Opera, Isabella in Das Liebesverbot for Chelsea Opera, Rosalinde Die Fledermaus and Hanna Glawari The Merry Widow for Scottish Opera where she has also covered Frasquita in Carmen and Karolina in The Two Widows. Also, Fiordiligi Cosi fan tutte, Donna Anna Don Giovanni, Contessa Le Nozze di Figaro and Nella Gianni Schicchi for The Opera Project, Li-Li Greed for the Glyndebourne Young Artist Project and Musetta in La Boheme for Opera Novella. She has also covered the title role Ariadne auf Naxos for Garsington Opera. Her concert engagements include: Rossini Petite Messe Solennelle Mozart Coronation Mass in C, Requiem and Mass in C Minor, Oratorio de Noel by Rheinberger, Saint-Saens Christmas Oratorio, Brahms Requiem, Richard Strauss Four Last Songs, Mahler Rückert Lieder, Mendelssohn Elijah, Beethoven 9th Symphony, Mozart Exsultate Jubilate, Faure Requiem, Britten War Requiem, Chausson Poème de l’amour et de la mer , Orff Carmina Burana, Haydn’s Creation and Verdi Requiem for which she is always in demand. Helena has performed in many of the UK’s leading venues, including The Royal Albert Hall, The Barbican, Cadogan Hall,Westminster Abbey, St. James Piccadilly, St John’s Smith Square, Dorchester Abbey, St.Paul’s, Ripon, Guildford and Gloucester Cathedrals. Her credits with orchestras include the RPO and she has sung under the baton of conductors such as Sir Colin Davis, Sir Charles Mackerras, Simone Young, Anthony Negus and Mark Wigglesworth. Helena is a regular favourite at The Metropolitan Opera where she has covered the roles of Elvira in Ernani (James Levine), Elizabeth in Roberto Devereux (Maurizio Benini), Elettra in Idomeneo (James Levine) and Norma – Title role (Carlo Rizzi). Helena was delighted to return home to Australia last year to star in her first staged Wagner role Elsa in Lohengrin and was then a last minute addition to Melbourne opera’s Robert Devereux where critics rated her ‘8 out of 5 stars’, saying that she was ‘The most exciting voice since Sutherland. She starts off the new year covering the fiendish role of Semiramide for The Metropolitan Opera and then goes on to make her house and role debut at Longborough festival in the title role of Ariadne Auf Naxos. Other plans include include a return to The Royal Albert Hall to sing the Verdi Requiem with the RPO, a trip to San Francisco Opera to cover Elisabetta in Devereux and her UK Norma debut with Chelsea opera. In 2019 Helena will return to The Metropolitan opera to cover Vitellia in Clemenza di Tito and make her Met debut as Alice in Falstaff as well as returning to her hometown Melbourne to sing the Title role in Norma with Melbourne opera.